Always on time and on budget! Asphalt FX is paving the way with their latest equipment and expertise in the Asphalt Industry, we offer very competitive rates and quality workmanship. The company offers 100% Guarantee with all their work to Customer Satisfaction. We have the capability to Service all types of works, major or minor for the Home Owner, Councils, Government and Commercial. Please contact us over the phone or fill out the contact form and we’ll contact you. Asphalt FX specializes in carrying out various types of asphalt pavement constructions in the Commercial, Residential and Industrial sector. 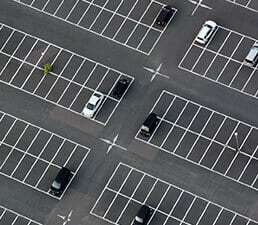 We specialize in Car parks, Major Roadways, Driveways, Hard Stand areas and Footpaths. Asphalt FX have a large range of fleet and the latest equipment imported from overseas, enhanced with experienced workmen Asphalt FX will undertake major and minor works, e:g design, specifications and personal ideas. We understand the importance of value for money, whether it’s your home or business. We pride ourselves on being able to offer competitive rates but still provide a very high standard of work that is guaranteed. Our Company objective aim is for Customer Satisfaction, offering new innovative ideas, in-house design capabilities, and the ability to deliver. 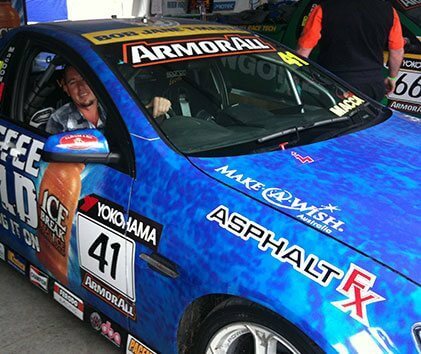 All works delivered by Asphalt FX Pty Ltd comes with a Product and Quality Guarantee. 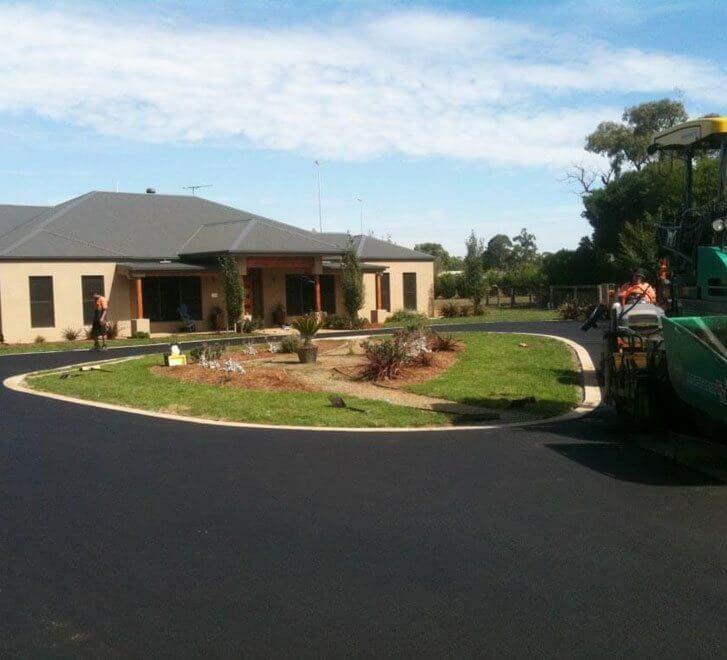 With more than fifteen years of experience in the asphalt industry, and as a dedicated family owned business with highly reputable staff, machinery and clients, Asphalt FX provides the best Asphalt Driveways Melbourne could ask for. Given what we’ve learned in our fifteen years in the industry, all of our Asphalt Driveways are made to perfection, with superior finishes given to all jobs. Our knowledgeable team will provide the right service to suit your needs and we ensure that each of our customers is provided with an unbeatable standard of work. We utilise only the finest machinery such as Custom Built Rollers, Vogel Pavers and Bobcat Profilers to complete our jobs. We identify as a team of bitumen workers, suppliers and repairers, as well as plant operators and an experienced management team. Our culture has a can-do ethos, for our people that are our team, our clients and our community. We provide services for a variety of clients, with residential, commercial, governmental and council projects all taken on board. Our services include asphalt paving, design and construction, driveways, road construction and maintenance, car parks, school areas, sporting courts, plant hire services and so much more. You can browse through all our various areas of expertise and services online, and you can also have a look at our previous projects. Previous clients include reputable names such as Fulton Hogan, Boral, South East Water, Thiess, and John Holland. We provide obligation free quotations that are unrivalled in terms of knowledge and value, as well as professional advice, the friendliest of services, earthworks, disposal of surplus spoil, placement of crushed rock bases, minor drainage works, paving, and much more. You can also be rest assured that our work is fully insured, and all work is guaranteed to match customer standards. Our Product and Quality Guarantee is reflected not only in our outstanding team, ethos, services and experience, but also in our many wonderful testimonials, some of which you can read on our website. We are proud to serve our customers and our community for all jobs we partake in, no matter how big our small, and we are dedicated to producing fantastic results in optimum timing, and at an affordable price. You can also have a look at our various residential, commercial, governmental, council and contract projects via our site where a variety of different photos are posted up. For more information, why not get in contact with us today? You can find a variety of helpful contact details on our webpage, including the number to our main office, and numbers to different directors and managers, as well as a link to our paving site. You can also drop into our office in Dandenong where we will be more than happy to answer any questions that you may have. We look forward to hearing from you! 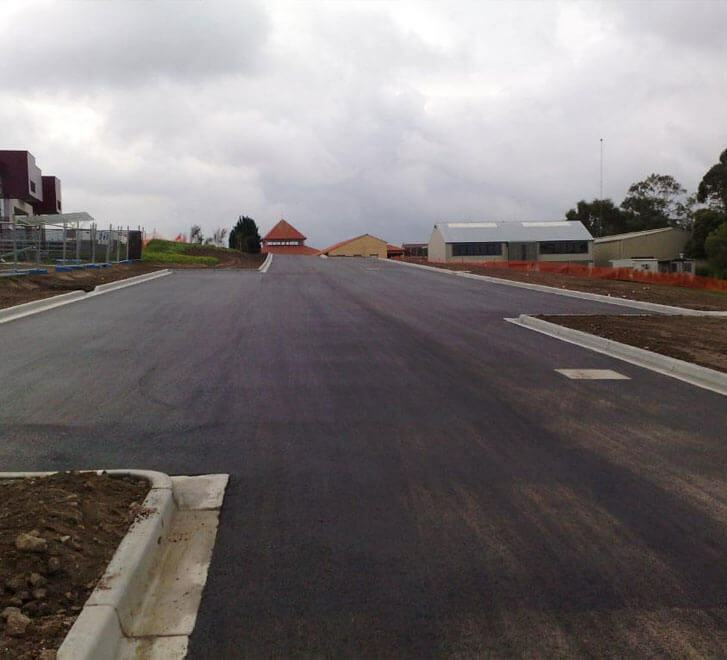 Asphalt FX is responsible for some of the highest quality asphalt construction projects in and around Melbourne and its surrounding areas. 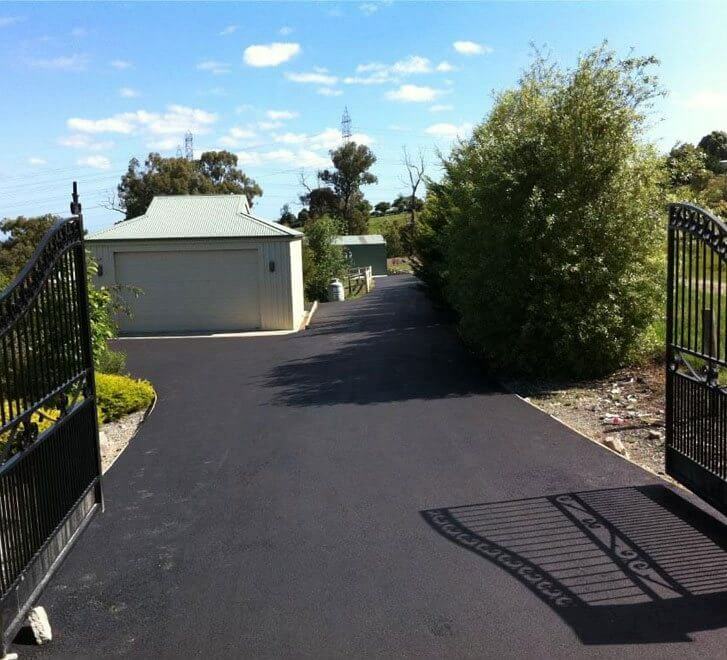 An Asphalt FX project is instantly recognisable with its high level of workmanship and superior finish. 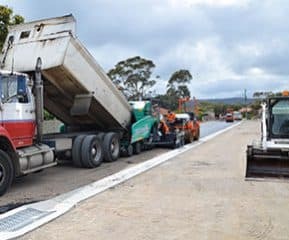 So, if you are looking for the highest quality of Melbourne asphalt & asphalting services, you can rely on the services provided by Asphalt FX – a family owned Melbourne-based asphalt company. Our high levels of customer service and workmanship don’t come with an equally high price tag. We understand the importance of obtaining value for money when you embark upon an asphalt project, which is why we offer extremely competitive rates for all of our services. In addition, we strive to ensure that every project we are involved in is not only completed within the agreed timeframe, but is also delivered within the budget as agreed at the outset. We also offer a no-obligation quotation service so that you will be fully aware of what your asphalt project will cost before it gets underway. Our customers vary widely and their requirements differ from project to project. 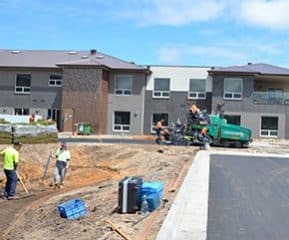 We have taken on asphalt construction projects, maintenance works and repair jobs for residential and commercial customers as well as for local council and government departments. No job is too big or small for Asphalt FX! For our residential customers, we can deliver high quality asphalt driveways, excavation works, borders, crushed rock pavements and minor drainage works to name just a few. Commercial projects have included car park construction, road maintenance and repairs, traffic control, footpaths and cross overs. As you will see from our customer testimonials on our website, our previous commercial clients were more than happy with the level of expertise, experience and assistance that Asphalt FX provided them with. 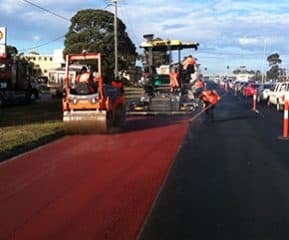 In our 15 years of business, our reputation has attracted many government and council projects from residential street rejuvenation to full depth asphalt repairs. Each of our projects has been delivered just the same as any of our other projects – on time, within budget and without incident. We strongly believe that we are only as good as the people who work for us and our team of highly skilled and experienced asphalt workmen are committed to customer satisfaction and to delivering high levels of superior asphalt services. In addition, they only use the highest quality asphalt products as well as the most up-to-date equipment on all projects. For these reason, we are in a position to offer our customers a 100% customer satisfaction guarantee on all work that we carry out. For more information on our competitive yet high quality services or to arrange a no obligation quotation from one of our experienced estimators, please contact our Dandenong office today on 03 9768 2154 and a member of our team will be happy to assist in whatever way they can. For asphalt construction projects that are carried out to an impeccably high standard, look no further than our highly skilled team here at Asphalt FX. We are proud of our reputation in the asphalt industry as providers of quality work at competitive prices. 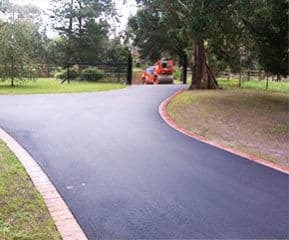 Whether you are looking for a new asphalt driveway, car park, roadway or the best asphalt repairs Melbourne can offer, we are the company that you can trust in. 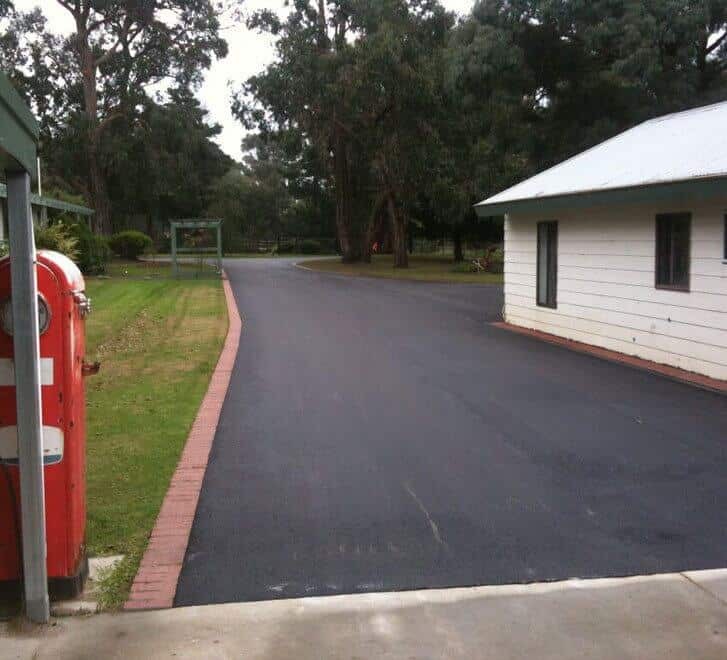 We are a family owned asphalt business who have been serving the people of Melbourne for over 15 years, ensuring high quality work while still remaining competitive with our affordable rates. Our ability to deliver what it is that you need, on time and within the agreed budget, is what sets us head and shoulders above our competitors. All our workmen are highly skilled in the most innovative asphalt construction techniques and practices and we use only the most up-to-date equipment that we often source from overseas. With this winning combination, we are perfectly placed to undertake whatever job you need and believe us when we say that no job is too big or too small for our team. Our customers range from residential homeowners to local council and government contracts. So whether you want a new driveway designed and built or whether you need a new roadway constructed, Asphalt FX is the perfect choice. You can view a selection of our previous projects on our website to give you a taste of the high standard finish to which we complete all of our jobs and the extensive range of work that we can look after. In addition to asphalt maintenance, repair and construction, we can also carry out minor drainage works, landscaping to support asphalt works, earthworks and the disposal of surplus spoil. On that note, whether you are in the commercial, residential, industrial or government sector, you can rely on our team of bitumen and asphalt experts to get the job done. Customer satisfaction is what drives us to carry out the very best work that we can. This is why you can trust in our 100% customer satisfaction guarantee, which means that we won’t be happy until you are! We strongly believe in attention to detail in all aspects of your project, from the initial estimate to the unveiling of the final finished product. Take advantage of our years of expertise in the asphalt industry and contact us today. To arrange for a no-obligation quotation, or to find out more about our wide range of services, please call our Dandenong office on 03 9768 2154 where a member of our team is ready and waiting to assist you. Alternatively, you can leave us a message through our online contact form and we will be in touch with you as soon as possible. Looking for asphalting, asphalt patch works and trench works? 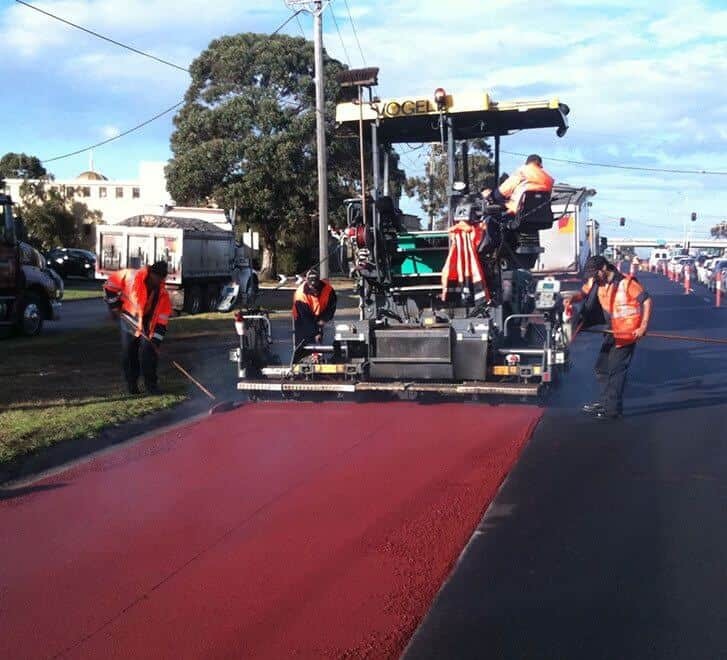 For Melbourne customers, Asphalt FX are the expert, efficient outfit, ready to serve you with highly specialised asphalting, in a range of applications. When it comes to asphalt patch works, there are several techniques that can be deployed, useful for filing cracks, for repair of potholes, parking lots and pavements, playgrounds, tennis courts, among many others. Asphalt patch works will not only repair fissures and holes, they will also help to prevent further deterioration. Re-laying of asphalting in major works can be expensive, so asphalt patch works are an important more affordable option for repair of older asphalting. There are several ways to perform asphalting repair, including throw-and-roll, semi-permanent patches, spray-injection method and full-depth patching. Speak to us about the best method for your needs. Asphalt trench works are also available for re-piping and other road openings. Just a short note to say thank you to you and your team (and your suppliers) for giving up their weekend and attending at short notice on Saturday and Sunday in poor weather conditions to repair the road following the major burst on the DN300 main in Dandenong-Frankston Road. South East Water is only as good as the people we employ, and Asphalt FX did a great job ensuring that South East Water’s reputation with our customers and stakeholders was enhanced as a result of this professional response. Well done! Please pass on to all your team. From quotation to final product was handled with great care and customer service. The entire job was discussed and agreed upon to ensure that as a customer we were happy with what was to be delivered. Suggestions were made to assist in the process and once work commenced we were kept totally informed as to each step in the process. The final result is a great driveway that really complements our house and sets it aside from the others in the street. Very happy with the work and the innovative discussions held throughout the process and have no hesitation in recommending Asphalt FX . My name is Jim Orlando and I am the manager of the permanent Reinstatements Department at South East Water. Asphalt FX has been a Permanent Reinstatement contractor to South East Water for over well over 10 years covering our area of municipalities from Melbourne to Mornington Peninsula to Cardinia. Completing various reinstatements of roads, from small works as 1m2 to over 600m2 in asphalt. Also with the drop of a hat Asphalt FX undertake emergency works from burst mains damaging the major roads from relaying asphalt road reconstructing kerbs and finishing the line marking all within one night to have the road reopened for peak hour traffic by the morning with minimal disruption to public and road users. The quality and finish is second to none professional, qualified and leaders in the trade with no job to small. Always well-presented onsite and with qualified staff in all fields is never a problem with everyone being on the same page as to the requirements and standards for permanent reinstatement. I recommend Asphalt FX for all type of works as I know the finish product of whatever they undertake will always be the of very good quality and finish.